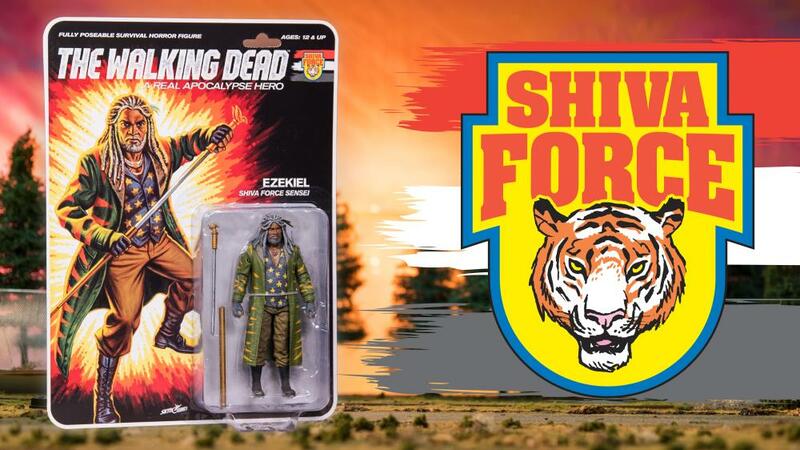 Skybound and McFarlane Toys bring you the most epic action figures. 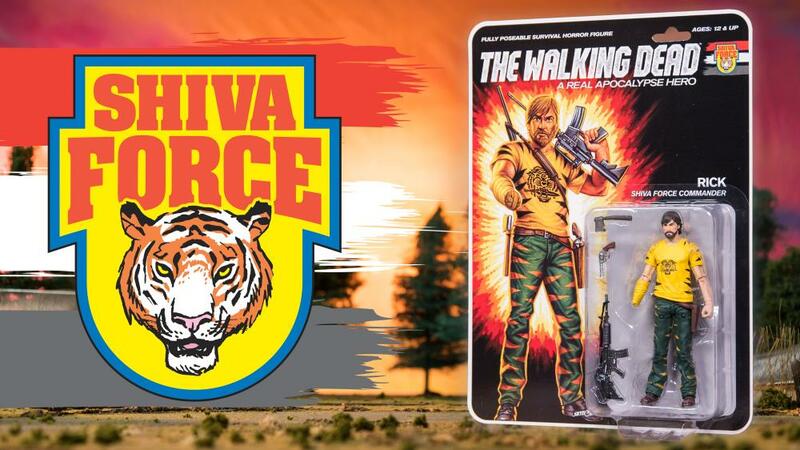 Straight out of an 80’s action flashback comes Shiva Force. 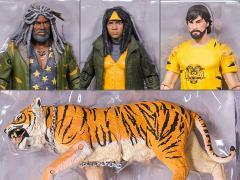 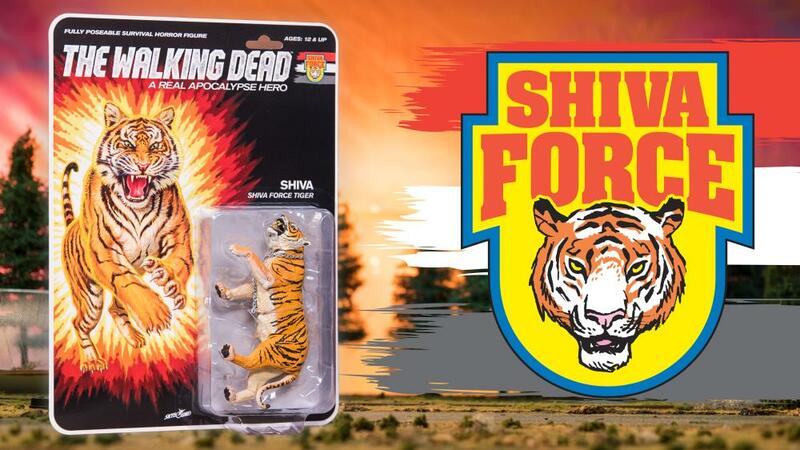 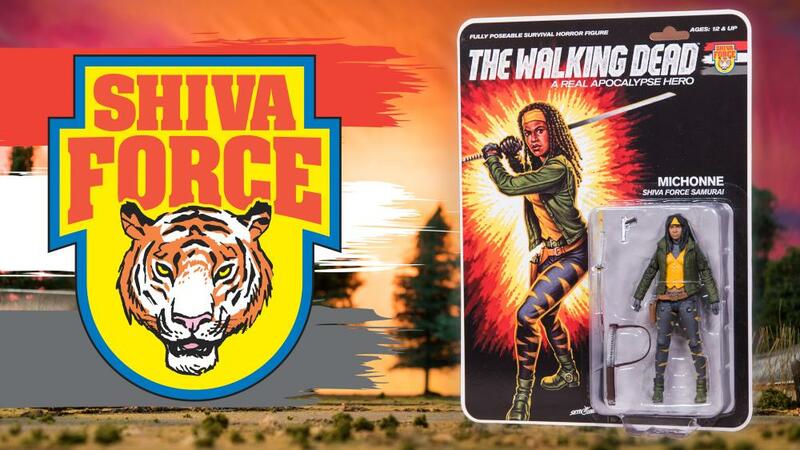 This exclusive four figure gift-box features Rick Grimes, Michonne, Ezekiel and Shiva (action figure debut), featuring new Shiva Force paint deco. 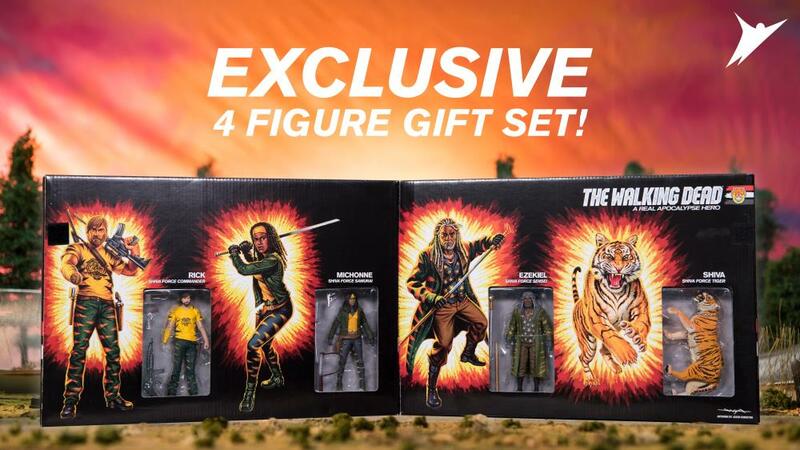 Each 5” tall figure is also individually packaged on a vintage styled card back with new painted artwork by Jason Edmiston.